October weather lends itself to commuting by bicycle. Even on my longish 20-mile route, I can arrive relatively unsweaty. I’ve been rolling in the courthouse square before sunrise. 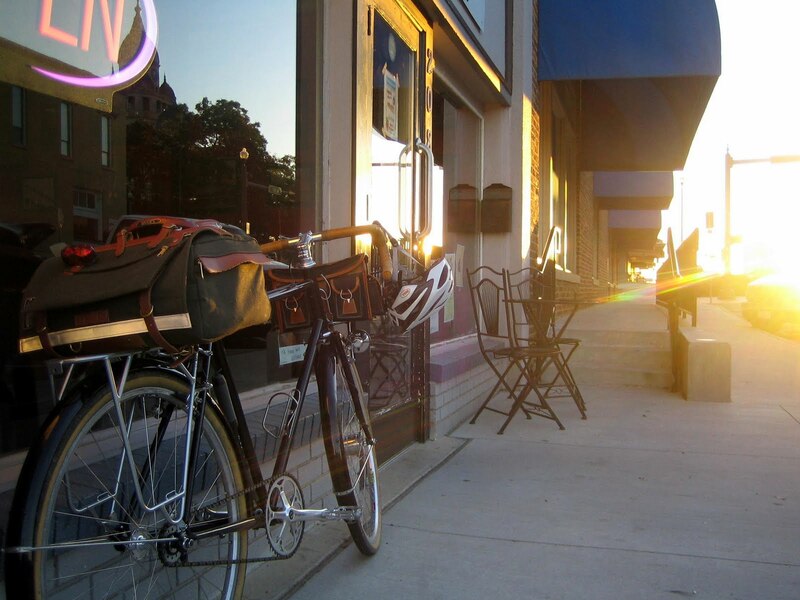 So the perfect transition between the hypnotic pedaling in darkness to the hectic pace of the business world is a good hot coffee. 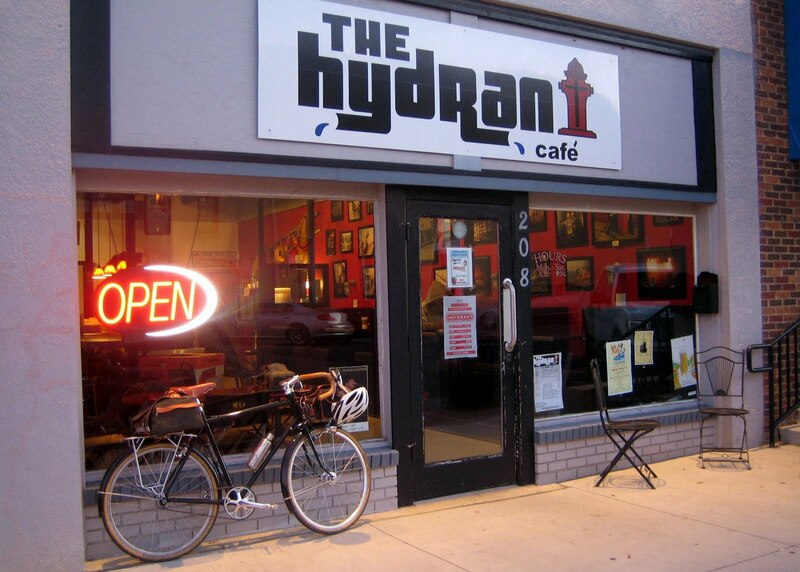 When practical, I get my coffee at The Hydrant Cafe. The Hydrant serves up fresh, locally roasted coffee that has become my palate’s favorite. This place is a little more peaceful than some of those other popular, louder, more active coffee shops. It seems just right for that post commute transition coffee that I crave. After a few minutes lingering with the locals, the sun peeks over the courthouse lawn, and I’m ready to take on the day. Gotta love locally-roasted coffee. I've found some good stuff around here, too. Your Kogswell looks fantastic! Mrs. Pondero, let's say blogging "before" work, and no grounds today. Those big bags are heavy.Apertome, my Kogswell performed fantastically today, and wants you to know he appreciates the compliment. I'll be in Denton sometime before the end of the month. Maybe we can get together for a cup of coffee. Myles, please let me know when you are visiting Denton. It would be great to chat a spell.